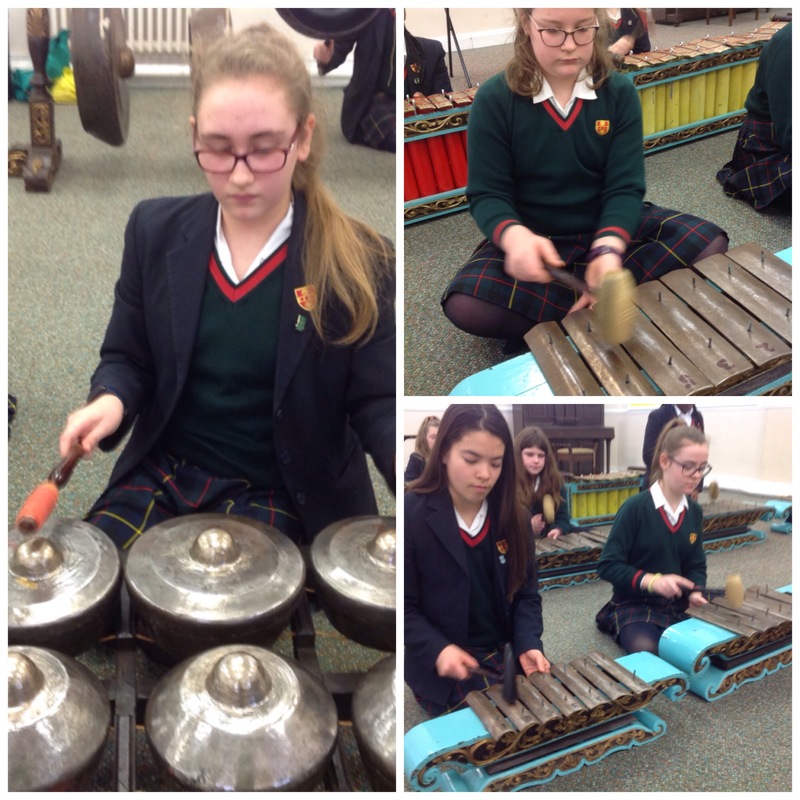 Year 8 classes took part in Gamelan workshops. They each learnt to play the traditional instruments of the Indonesian orchestra. Each pupil memorised their part and performed in different layers and at different tempos. The hardest technique, according to a Year 8 pupil, was dampening the note as soon as you'd played it.